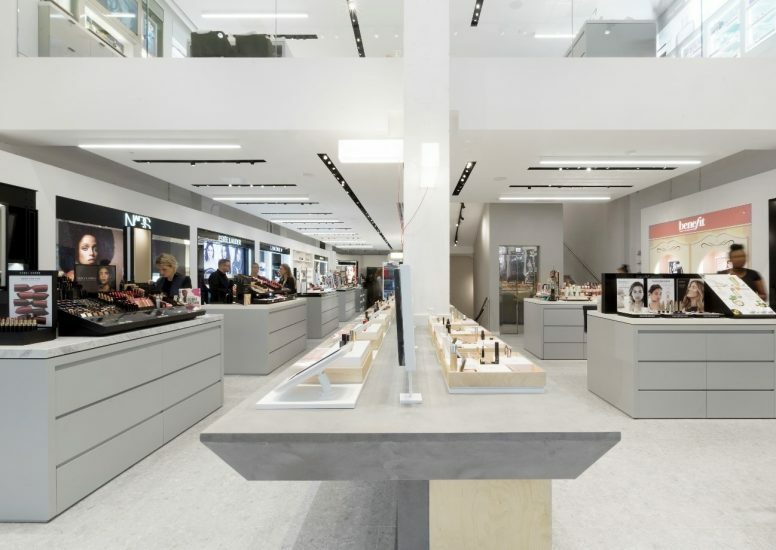 Fabled by Marie Claire has launched its flagship store on Tottenham Court Walk, a physical extension of its online beauty store. 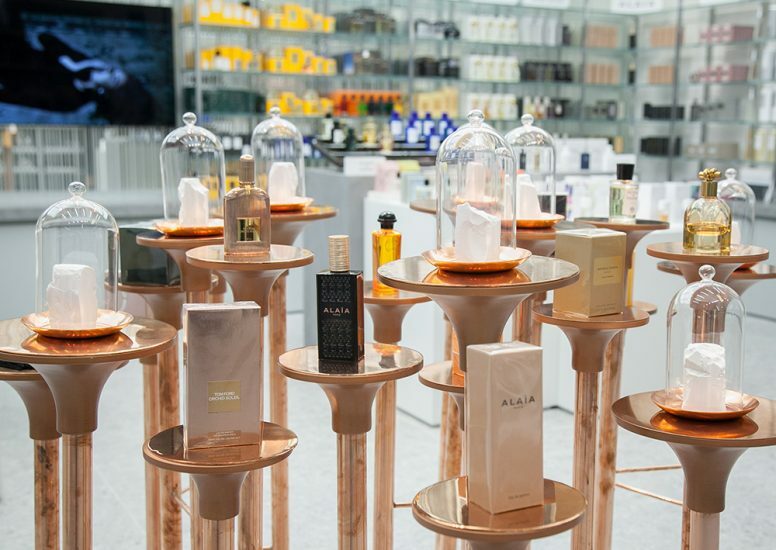 The stunning and minimalistic white interior of the two-level store has specific areas dedicated to fragrance, skincare and makeup. It also features a ‘Fabled Edits’ section revolving around on trend and seasonal recommendations, and a ‘test and play’ area, which encourages experimentation with different brands. The idea behind the store is to merge the experiences of online and physical shopping, and it is therefore cutting edge in its innovative use of technology. The images demonstrate the ways in which technology is creatively integrated into the shopping experience. 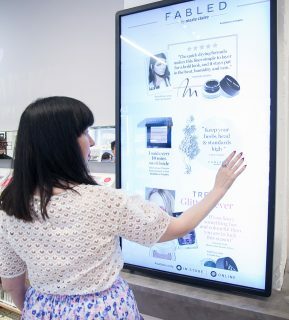 Customers can use touchscreens, which are placed on each makeup counter, to get information and recommendations on a large selection of products and brands. Technology is also used to transform the payment system of the store; customers have several options available to them as to how and when they pay. Transactions are handled on a mobile payment system which uses iPads around the store, as opposed to a dedicated till point. The store merges the ease of online shopping with the fun of browsing an exciting new shop. D4R visited the store last week and were impressed by the appearance and usability of the store! The interior walls were beautifully imperfect with painted over concrete, spotlights fitted into the ceiling and lightboxes with the red wires (the rare use of colour in-store) hanging lazily out of them. However, the actually make-up counters were elegantly designed with a bit of the cosmetics’ brand featured within each one. Specific fragrances were granted literal pedalstools made out of wood and copper metal. The effect of this was quite beautiful and certainly showcased the fragrances positively. Marie Claire had their own section downstairs with some potted cacti (bang on interior design trends of 2016) the latest edition of their magazine and a few products to browse. Last, but not least, we tried out the touch screens for more information on our desired foundation, the perfect red lippy and the best SOS skincare. 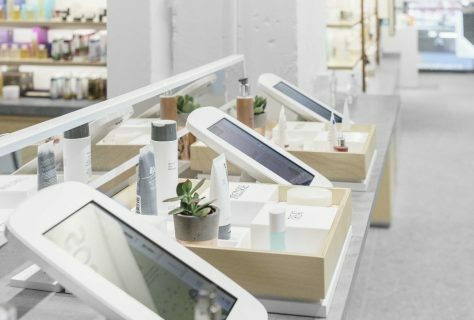 A really innovative way of answering the key questions surrounding beauty products with an immersive experience for the customer. We only had a short term to play around with the technology and see both floors of the new store, but I’m sure we will be back!